Editor’s note: This post was first published in 2015. We’ve updated the list with nine more of our favorite organizational tools. There’s never a better time than now to reevaluate what’s working and what’s not working for you in terms of organization. From the office to the home, there’s always room to improve and make space for productivity. While the perfect tools to get and stay organized might vary for each individual, the following list covers 19 tools that I think you’ll find incredibly useful. Wunderlist: A beautifully designed list app that keeps you on top of all of your tasks. I personally love that I can seamlessly access it across all my devices, so I never lose track of my to-do items. Any.do: Another beautiful task management app that syncs across devices. A clean and simple design makes this an incredibly user-friendly app. Todoist: It’s another to-do list app, but what keeps me using this one is how natural it is to schedule your tasks. If you need to call a client tomorrow, you can just type “Call client tomorrow.” Todoist will put each task on a calendar and email you the tasks you have coming up each day. Streaks: Getting organized sometimes calls for a deep clean, but staying organized often requires smaller tasks, repeated every day. Streaks is an app that helps you track habits you want to maintain, encouraging you each time you repeat a task. Process Street: If you’re like most people, you probably spend a lot of time repeating the same basic tasks. Process Street recognizes that fact, so you can build process templates, run them as to-do lists, and track progress with your teammates. Trello: There are not enough words to express how amazing Trello is. This is a fantastic project management tool for your team, but I also use it personally for just about everything I need to keep organized in my life (shopping lists, errands, and personal projects). It integrates with tons of other apps and is so easy to use. Zapier: Another app automation tool very similar to IFTTT, but Zapier works with hundreds of apps. Shoeboxed: This app is a great tool to stay organized when it comes to spending. Shoeboxed scans your paper receipts, digitizes the information, and then uses it to track your expenses. MindNode: A tool that makes it easy to visualize brainstorms and mind maps, it’s great for all the visual thinkers out there. MindMeister: An alternative to MindNode, MindMeister help you visualize thoughts in your browser and store all the information in the cloud. Pinterest: Stay with me here. I know this sounds like a bit of a stretch, but Pinterest is actually a great way to visually organize content (and is way more than just a place for finding cute outfits or delicious recipes). I use Pinterest when I need inspiration for designs, layouts, landing pages, and so much more. You can easily organize pins into boards, collaborate on boards with others, and you can even use the Pin It button in Chrome to bookmark articles on the web for later. Unroll.Me: A lot of tools for staying organized only address the problem after the mess is created. 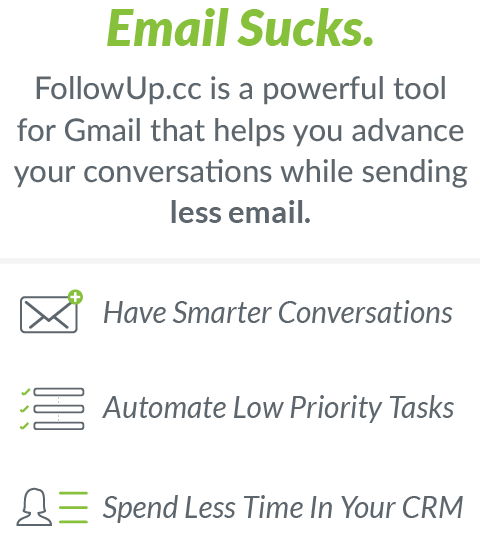 If you want to cut off the source and get to Inbox Zero faster, Unroll.Me is a great tool that cleans out all those subscription emails you never read anyway. Bear: Bear is everything you didn’t know you wanted in a notes app. Its simple, clear design lets you focus on whatever you need to write down, but its clever hashtag feature lets you organize and nest your notes without flipping through stacks of virtual folders. Evernote: Evernote is a more heavy-duty note-taking app, but it supports a lot of useful features, such as document scanning, PDF search, and templates. Pocket: Pocket is the ideal app for people who always have too much to read. If your bookmarks are full to bursting, or you have a note tucked away with dozens of links, Pocket will be perfect. Whenever you find something you can’t get to yet, you can save it to Pocket (from web and mobile browsers) and pick it up later. 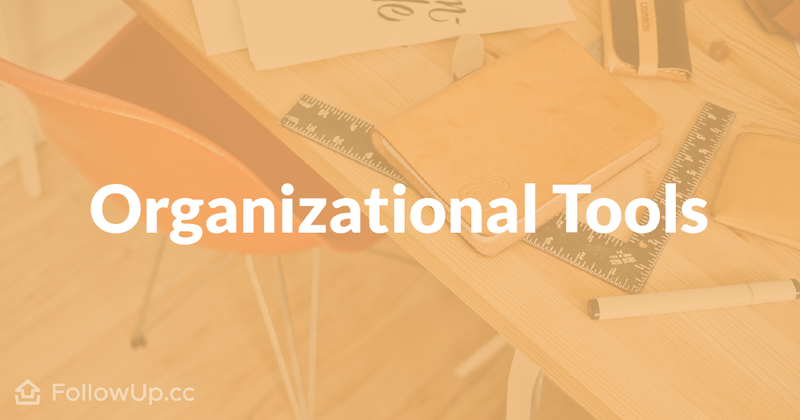 Slab: Your organizational habits will only go so far if your team is disorganized. Slab allows you to create and share content across your company that you can organize by topic and collaborate on in real time. Tettra: Tettra is another option for teams wanting to share knowledge across their entire company. Tettra also offers some handy integrations with other tools, such as Slack, GitHub, and Google Docs. Google Drive: This list wouldn’t be complete without Google Drive. I personally use it for storing absolutely everything important (photos, documents, etc.). You can also use Drive as a team to share documents, spreadsheets, and more that everyone can easily collaborate on. Drop me a comment below – what am I missing from this list? Share your favorite organizational tools and tips to help other smart marketers like yourself!